$14.99 on itunes!Buy on Amazon! Future generations will look back on our epoch as the time when the human race finally broke into a radically new frontier--space. 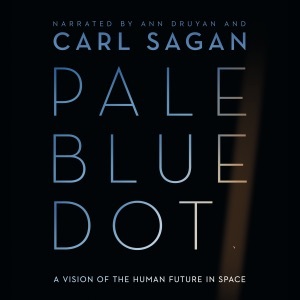 In Pale Blue Dot Sagan traces the spellbinding history of our launch into the cosmos and assesses the future that looms before us as we move out into our own solar system and on to distant galaxies beyond. The exploration and eventual settlement of other worlds is neither a fantasy nor luxury, insists Sagan, but rather a necessary condition for the survival of the human race. Do you love Pale Blue Dot: A Vision of the Human Future in Space (Unabridged) audiobook? Please share!